Rupa Lake, the smaller of the twin lakes- Begnas & Rupa tal. Rupa tal witnesses a fair number of tourist in a year, although its less crowded which automatically makes it less polluted as well. Rupa tall is an extra ordinary place with an ordinary sense of beauty. There are no ‘out of the world’ experiences however you’ll find it much better than a lot of places that promise much but have less. Caged fisheries are one of the major economy boosters for the lake. The flora and fauna around the lake is a thing for admiration as well. A good amount of water birds are found here along with some of the tastiest freshwater fishes. The ridge between the Begnas tal and the Rupa tal offers a simultaneous view of both the lakes, to which a lot of people have remarked as the eyes of Pokhara. 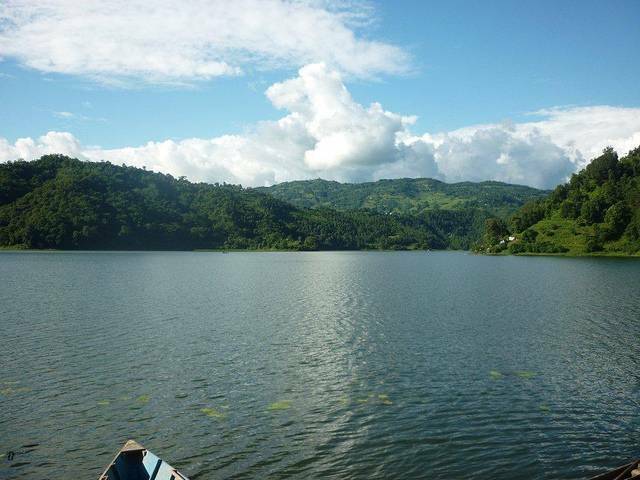 The most convenient way to reach Rupa tal would be to trek around the lake. One should enquire about the bus timings to avoid any turbulence.